Welcome to another installment of our troubleshooting series where we aim to help our readers who own the #Apple #iPhone6Plus fix the issues that they are experiencing with their device. Today we will tackle a popular issue that has been recently reported by several owners of this model and that is the iPhone 6 Plus grey flickering screen issue. What happens in this case is that a flickering grey bar will suddenly appear which often leads to an unresponsive touchscreen. We will take a look at this issue and see what can be done. If you own an iPhone 6 Plus or any other iPhone model for that matter then feel contact us using this form. We will be more than happy to assist you with any concern that you may have with your device. This is a free service we are offering with no strings attached. We however ask that when you do contact us try to be as detailed as possible so that an accurate assessment can be made and the correct solution can be given. Solution: There have been several cases such as this that have been reported recently. Apparently this issue is caused by a faulty touch controller IC ( two of them in fact) which are soldered on the logic board. 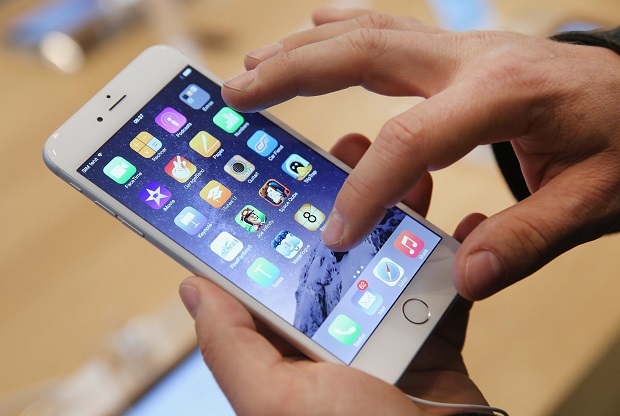 This is a widespread issue that’s affecting several iPhone 6 and iPhone 6 Plus models. This issue even has a nickname right now amd is called the Touch disease. The only permanent solution so far is to replace the logic board ( expensive option) or to replace both Touch controller IC’s (less expensive option). Some owners of this device whose phones are still under warranty have replaced their defective units however it’s not a guarantee that the phone they received will not have the same issue.